What Are Kidneys and How Do They Work? Kidneys have multiple vital functions. They act as filters for the body, cleanse the blood, maintain proper internal water and mineral balance, and remove waste. The kidneys also produce red blood cells, control blood pressure, and produce active Vitamin D which controls calcium uptake and helps keep bones strong. The kidneys also maintain the blood's pH level. That's a lot of jobs! The blood continuously circulates through the kidneys at approximately 12 times per hour. 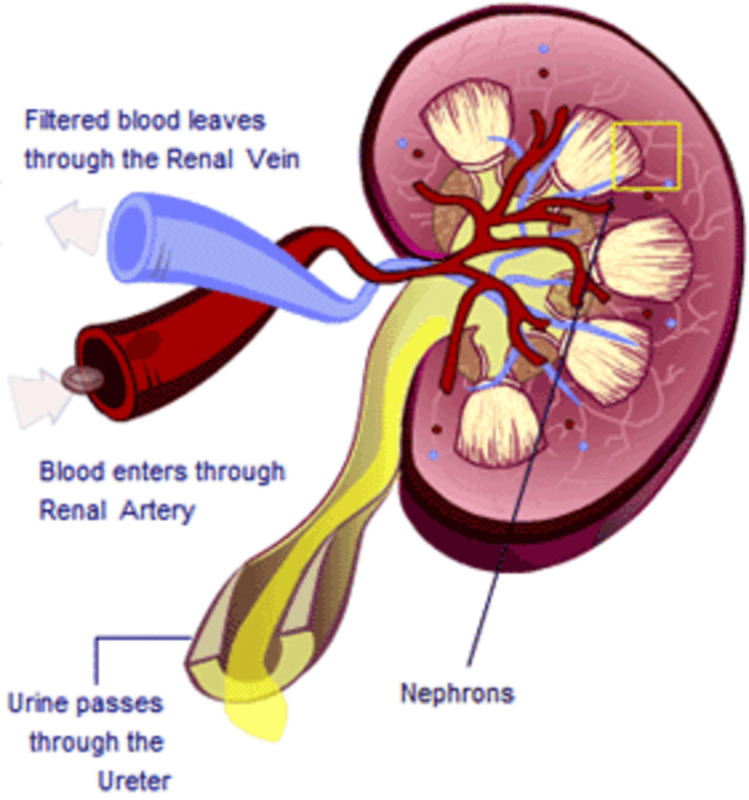 As this happens, the kidneys filter needed salts and minerals while processing waste to produce urine. Proper kidney function is vital for human health. There are several conditions that can cause problems with the kidneys. Two of the most common issues are infection and kidney stones. Kidney infections often start as a urinary tract infection (UTI) that spreads upwards towards the kidneys. Kidney infections can be deadly if left untreated. 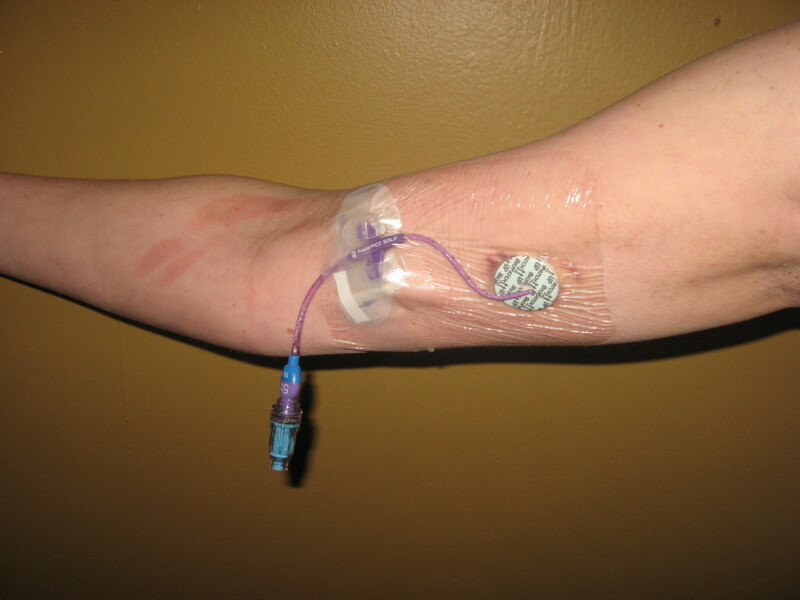 If you suspect a kidney infection it is extremely important to seek medical assistance. Kidney Stones are another common issue. They occur when minerals in the urine harden and crystallize. There are two stone types: calcium oxalate and uric acid stones. The type of stones will help determine prevention and treatment. Stones lodge in the kidneys where they may or may not cause discomfort. If they move into the ureter the can cause a painful obstruction. Symptoms are pain in the lower back and abdomen, increased frequency or urgency with urination, and sometimes blood in the urine. If you see blood in the urine, it's time to seek immediate medical assistance as it could indicate a serious obstruction. Other more serious conditions that can also lead to renal failure include exposure to toxins, chemotherapy, and venom from some poisonous snakes and insects. Kidney failure is also sometimes the result of other disorders like diabetes, congestive heart failure, and lupus. All information in this article is for information purposes only and is not intended to diagnose, treat, prevent, or cure any illness. There are several preventative measures that can be taken to keep the kidneys healthy. The kidneys are self-cleansing, so the most important thing you can do is to stay properly hydrated every day with pure, clean water. 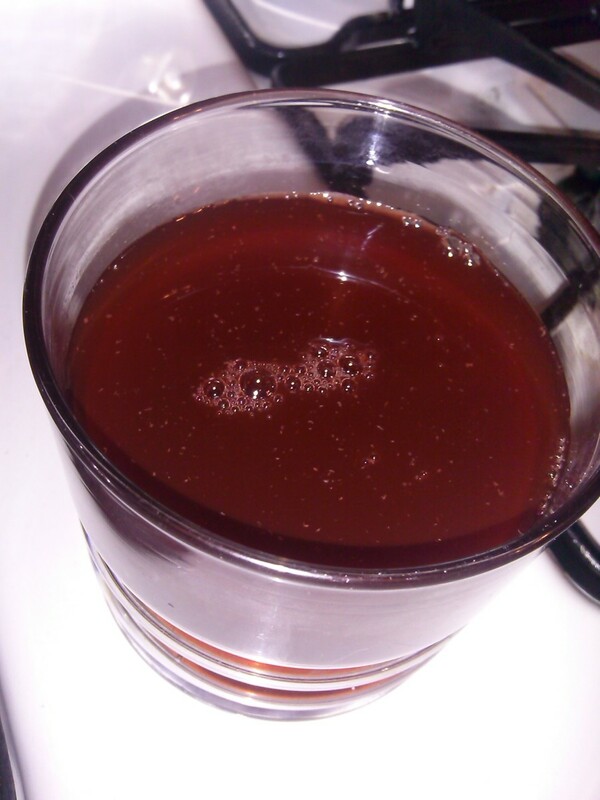 In addition, parsley tea and pure cranberry juice are natural cleansers for the kidneys. Eliminate sodas and energy drinks. These drinks are hard on the kidneys and often lead to kidney stone formation. Keep your cholesterol in check and stay at a healthy weight. Drink plenty of pure water. If you live in areas with hard water, buy a good filter and never drink water straight from the tap. Hard water is full of extra minerals that can be hard for the kidneys to process fully. Don't worry, if you eat a healthy diet you likely won't become mineral deficient. Avoid smoking and drink alcohol only in moderation. Do you or your kids love soda, but you fear what it may be doing to your kidneys and your health? I love the taste of a cool, fizzy drink on a hot day and soda was very hard for me to give up. The flavored waters in stores are all loaded with artificial sweeteners that can also cause problems with the kidneys, so what to do? Looking for alternatives to enjoy, I happened to discover something called water Kefir. You buy a starter once, and you can keep making it over and over again for pennies. It is fizzy, you can flavor it with juice, or even a bit of vanilla extract and stevia which makes it very much like a cream soda. It's very simple to do. Add the starter to a jar of sugar water, the live cultures in the starter, consume the sugar and what is left behind is a fizzy, refreshing, healthy drink that you can customize. My kids love it - no more soda! Each serving provides over 30 strains of healthy, probiotic bacteria. You can also drink this during your cleanse for some variety and a bit of a treat. This is the starter we use. It provides enough to get 1/2 gallon daily and comes with a 55-page information guide, instructions and will provide an indefinite supply when properly cared for. Fizzy, refreshing and provides the body with all 30 strains of probiotic bacteria to keep you healthy. 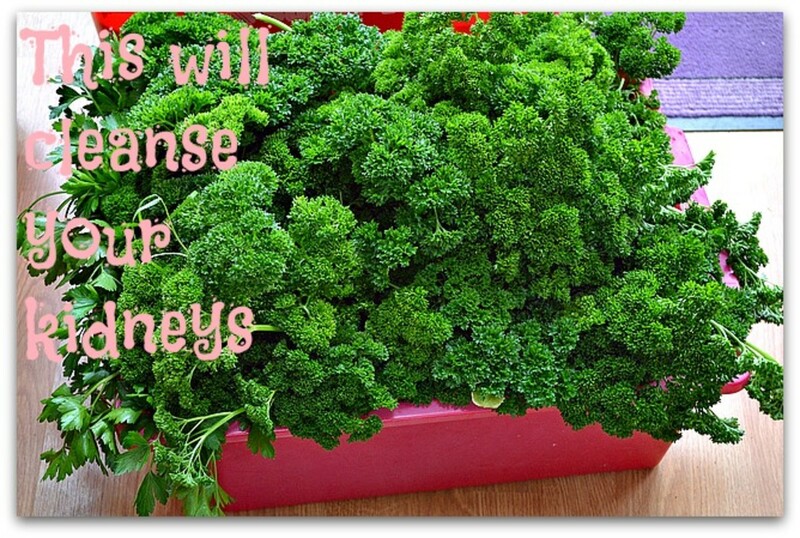 Celery and parsley are natural diuretics to flush the kidneys. Cucumbers also act as a diuretic, detoxifier, and they help to dissolve stones in the bladder and kidneys. Watermelon re-hydrates the body and is a rich source of lycopene. Lycopene has been shown in studies to prevent kidney toxicity. Apples are anti-inflammatory and the skin is loaded with nutrients that help reduce cholesterol and protect the body. The following foods also support healthy kidneys. Eat as many as you like, or juice them. Drink a cup or two of parsley tea daily during the cleanse. Parsley acts as a natural diuretic that helps to flush the kidneys. Be sure you drink plenty of distilled water in addition to the tea. Drink only filtered or distilled water (or the water kefir from above), the custom-made kidney cleanse juice and herbal teas. Do not drink any coffee, soda, tea, or energy drinks – all of them aggravate the kidneys. During your cleanse spend a few days eating 75% or higher raw, organic foods. Raw foods are the most nutrient-dense and pure. Avoid all processed and packaged foods during a cleanse. Raw foods can be juiced, or eaten whole. 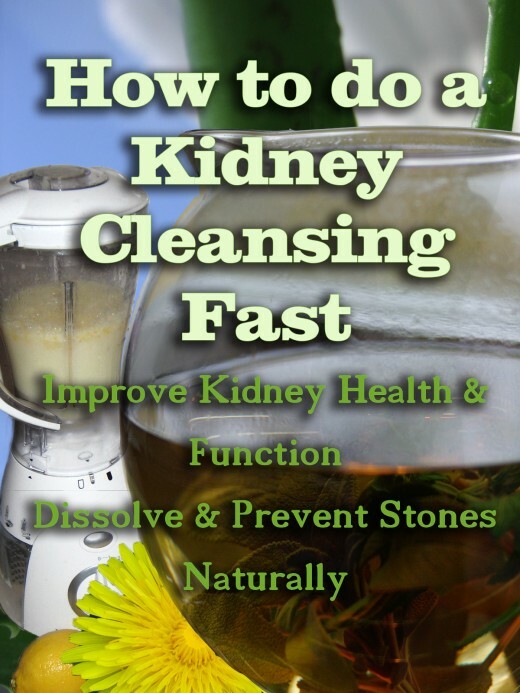 Avoid all dairy and meat products while doing a kidney cleanse. The proteins and high phosphorus levels of these foods stress the kidneys. If you are prone to uric acid kidney stones, you may want to consider a drastic reduction or elimination of animal proteins long term. Consult with a qualified medical professional before incorporating new herbs and natural supplements into your diet. Dandelion—The leaves of this plant, considered a weed in many areas, are great for promoting healthy kidneys. Eat dandelion greens as part of a healthy diet, or purchase them in supplement form. You can also create teas from Dandelion. Dandelion acts as a diuretic, flushing water and salt from the kidneys. Dandelions contain potassium giving them fewer side effects than other natural diuretics. Dandelions have been shown to help prevent kidney and bladder stones. Aloe Vera Juice—Aloe juice is useful for preventing kidney stone formation and for reducing the size of kidney stones. Purchase only the pure juice with no additives. The taste can take some getting used to, but it's not horrible. Be sure to only use as directed an overdose can lead to digestive distress. Aloe Juice is also a wonderful daily tonic for those with ulcers, heartburn, reflux and other ailments. Stinging Nettle—Extracts of this root act as a diuretic and encourage expulsion of uric acid that may form kidney stones. If you are prone to seasonal allergies, this herb also helps prevent hay fever type reactions when taken daily. Chanca Piedra—This is my go-to herb for anything stone related. Within a day the pain is gone. I've dissolved dozens of stones with this prior to starting a healthier diet and today I remain stone free. This herb is amazing for supporting bladder, kidney, gallbladder and the liver. Its name literally means "stone crusher". It helps dissolve and eliminate kidney stones and prevent future ones. This is the actual brand I use and recommend. It is consistently high-quality, affordable and potent. I found it to be very effective at shrinking stones and eliminating the pain they cause. This video explains the herb in depth, how it works, and details German studies that have shown its great effectiveness for dissolving and eliminating stones. Have you ever done a cleanse of any type before? Yes, but I kind of cheated and didn't get the full benefits of it. I'll share my answer and experience in the comments below! Influence of cranberry juice on the urinary risk factors for calcium oxalate kidney stone formation. The ingredients and directions are in the hub - use whatever you normally make to prepare your smoothies and use those ingredients in it. tomatoes do have lycopene, but they are highly acidic and can actually stress the kidneys in large amounts, so I would proceed with caution or limit the number you are consuming. This cleanse is something I want to do, my only question is since I'm afraid of watermelon can I change it for tomatoes as a source for lycopene? Parsley tea is brewed parsley - not tea leaves, so yes it works very well. Parsley is very good for stones. not sure if you know this or not but drinking tea can actually cause kidney stones. Not sure drinking parsley tea is really a good thing in your cleanse. Great hub ChristinS! I try to stay healthy but tend to forget about the kidneys. Great info. 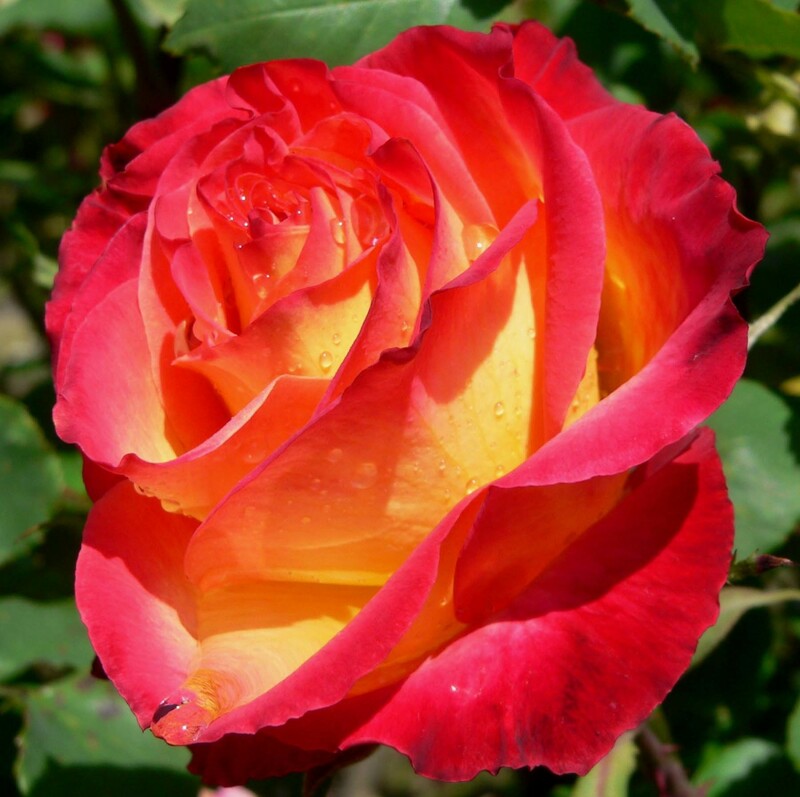 Thanks for reading and commenting Peg - glad you enjoyed the hub. I love the Chanca Piedra herb it has done wonders for my stones. This happened to me and it was extremely painful. "If they move into the ureter the can cause a painful obstruction." Not a good thing. Thanks for the important tips here on maintaining healthy kidneys. Thanks for sharing tasty ways to clean our kidneys! This was a very informative article, I am going to try this. Thanks for the info. I learned a lot from the article. Awesome post! I just got a juicer for my birthday so I can't wait to try your Kidney Cleanse Juice Recipe! Thanks everyone for the lovely comments. Billy I've done cleanses too and I also swear by them. For the kidneys I used the Chanca Piedra on the suggestion of a friend along with the cleanse. A stone that had been troubling me off and on for years dissolved completely. I used to drink a lot of sodas and teas and I don't anymore at all, but I think I got the stones when I was drinking that stuff everyday. Colon cleanses are also good always - I have done them before as well and it gives a real energy boost. Great information clearly presented, Christin … have stored this on my computer for future reference. Wow! I enjoyed reading your hub. I am sure glad to know how to clean my kidney. I have relatives who have done this fast before and they swear by it. Good information here Christin! thanks for reading and sharing. I'm glad you found the detox helpful. I do believe that cleanse/detoxes are great for the body.